See Roger Monkhouse next on Friday 14th & Saturday 15th JuneA consummate stand-up who employs a deadly combination of charm and menace to exert a masterful control over any audience. 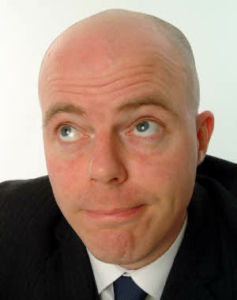 A highly original and quirky performer, Roger Monkhouse`s trademark stage-prowling style and curious, inimitable manner have established him as one of the hottest names on the comedy circuit. Supremely confident, with audience banter down to an art form, Roger is happy to improvise freely but has no shortage of first class material in his armoury. A master of observational comedy with a routine that is universally and unfailingly hysterical.